“Why is God allowing this to happen to me?” It’s a question that hung in my soul for many years. Likely there are many reasons, and I won’t pretend to have it all figured out. But, as my relationship with God has deepened beyond anything I previously knew was possible, my eyes have been opened to something that might offer one explanation: I suspect my Lord wanted to be my First Love. A position He, sadly, did not hold. (Though I would’ve told you He did.) It seems He wanted my whole and undivided heart, and He was willing to pursue me through the fires of hell to get it! Deuteronomy 4:23-24 – So be careful not to break the covenant the Lord your God has made with you. Do not make idols of any shape or form, for the Lord your God has forbidden this. The Lord your God is a Devouring Fire; He is a jealous God. You know what? I totally get this… now. There was a time when the jealousy of God seemed confusing to me because I only understood jealousy to be negative. It certainly can be negative, but now…? Well, now I understand so much more about love. True love is fierce. It’s exclusive. It gives all of itself, and deeply desires – no, demands that same undivided devotion in return. When that privileged standing is compromised, true love will be aroused to a passionate and righteous savagery that will go after its own. If God is the very definition of true love, then He will surely be jealous for what is His! He won’t just settle for second place, but will demand His right position as our first love. And that, my friends, is exactly what I had done to God. I had accepted the teachings of flawed humans who proclaimed the worship of husbands as a righteous undertaking – the commission of a young wife seeking to honor God in her marriage. So, I dutifully gave my husband (and perhaps even more so, my marriage) first place in my heart. I built alters to him all over my life, pouring out my offerings to him day and night. And in so doing, I ignited the devouring fire of my God’s jealous love – for me! Don’t misunderstand. God wants me to love my husband. He wants that love to be strong and unconditional. He wants me to be committed to my marriage. But He cannot, and will not share first place in my heart. Not with anything. Not with anyone. If the Bible says something even once, it’s important. When the Bible says something two or three times, we should take note. When there is something the Bible says again and again, it’s time to zero in and give it our undivided attention! The command to love the Lord my God with ALL my heart, with ALL my soul, with ALL my strength, and with ALL my mind is repeated so many times I gave up trying to count them. Deuteronomy 6:4-5 – The Lord is our God, the Lord alone. And you must love the Lord your God with all your heart, all your soul, and all your strength. Matthew 22:37-38 – Jesus replied, “You must love the Lord your God with all your heart, all your soul, and all your mind. This is the first and greatest commandment. Mark 12:30 – And you must love the Lord you God with all your heart, all your soul, all your mind, and all your strength. Again, and again, the Bible makes it clear. We are to love the Lord our God with ALL of ourselves. He is to take the first place in our hearts, and in our lives. We are to serve Him with undivided loyalty. He is to be our first love. I hope I don’t lose you here. What I’m about to talk about is something we tend to gloss over in this New Testament age. Sometimes we even pretend it isn’t true. See, Jesus came as a demonstration of the love and the grace of God. As the people who fall under that grace, we tend to forget about the fiery anger aroused within Him when He is betrayed. But friends, we have been given the whole of Scripture and it is all there to reveal to us who He is. We forget that He is unchanging. He is the same God today that He was more than 2000 years ago when His hurt and anger towards His people was aroused to the point that He turned His back on them for a time. It is imperative we understand, He is still a God who will not tolerate unfaithfulness. James 4:5 – Do you think the Scriptures have no meaning? They say that God is passionate that the Spirit He has placed in us should be faithful to Him. These verses demonstrate that His heart hasn’t changed, but this isn’t just a flippant warning. To grasp the gravity of it, we must turn to the Old Testament to see what happens when God’s people abandon their first love. “You have forgotten who you really are, and what I have done for you. You were born into this world with nothing. Helpless, wicked, unloved and unlovable. But I saw you in that state, and I loved you. I made you My own and cared for you. I gave you honor and great value, adorning you with My splendor and beauty, and making you a queen in My Eternal Kingdom. But how did you repay Me? By thinking these treasures were your own doing. By betraying Me again and again – giving yourself to others. You even used the bounty of My blessings in your worship of others! It is unimaginable. You have acted shamelessly, like a sick prostitute, and aroused My anger with your idols. Friends, our Lord will go to great lengths to recover His place in our hearts. He has boundaries, and He enforces them. When His people stray, He will do whatever it takes to get them back. And sometimes what it takes is punishment. When the hearts of His own turn towards lesser things, He will come at those idols with fury and obliterate them. His love is so great, and unrelenting that He will demolish their hold by any means necessary. Ezekiel 6:6-10 – Wherever you live there will be desolation, and I will destroy your pagan shrines. Your alters will be demolished, your idols will be smashed, your places of worship will be torn down, and all the religious objects you have made will be destroyed…Then when [mypeople] are exiled among the nations, they will remember Me. They will recognize how hurt I am by their unfaithful hearts and lustful eyes that long for their idols. Then at last they will hate themselves for all their detestable sins. They will know that I ALONE AM THE LORD and that I was serious when I said I would bring this calamity on them. Friends, it absolutely breaks my heart to think about the pain I’ve caused my God. 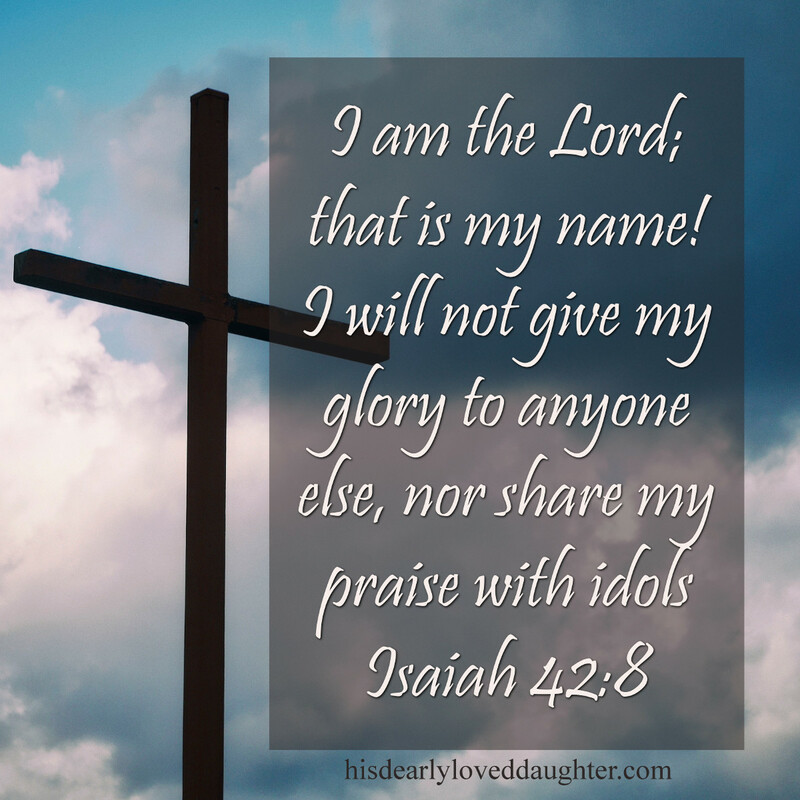 But, oh how I praise Him that He did not abandon me to my idol. I am so thankful that He didn’t leave me in that place of half-hearted devotion! Far be it for me to scorn His discipline. I will not. I will praise Him until the day I die that He saw fit to do whatever it took to open my eyes and smash that idol to dust! My worship will pour out to the One who is now and will forever be my first love! Oh Lord, You are so good, so ready to forgive, so full of unfailing love for all who ask for Your help. Listen closely to my prayer, oh Lord; hear my urgent cry. No pagan god is like You, oh Lord. None can do what You do! All the nations You made will come and bow before You, Lord; they will praise Your Holy Name. You alone are God. Teach me your ways, oh Lord, that I may live according to Your truth! With all my heart I will praise You, oh Lord my God. I will give glory to Your Name forever, for your love for me is very great. My Appeal to You: Make Him Your First Love Today! 1 John 5:21 – Dear children, keep away from anything that might take God’s place in your hearts. I would be remiss not to take just one moment and ask you, does Jesus have first place in your heart? Can you honestly say that He is your first love? Precious sister, if you have the courage to answer honestly, and your answer is no, it’s not too late! Joel 2:12-13 – That is why the Lord says, “Turn to me now, while there is time. Give me your hearts. Come with fasting, weeping and mourning. Don’t tear your clothing in your grief, but tear your hearts instead.” Return to the Lord your God, for He is merciful and compassionate, slow to get angry and filled with unfailing love. He is eager to relent and not punish. Friends, we are always only one prayer away from repentance. May we each be willing to ask God to reveal to us any area not wholly surrendered to Him. May we respond with the courage to submit those things and give Him our whole hearts! Each and every day, for the rest of our lives may we be wholly devoted. May He be our One and Only. Our First Love! *How about you? Have you walked a difficult path, wondering why God was allowing it? Have you looked back later and been given clarity to see how God was working for your good? If so, share your story in the comments below. I certainly have asked how God could still love me when I hadn’t given Him any of my heart in return. I now understand that all along He had a plan for my life that was much greater. God’s love is extravagant and pursues me no matter if I am behaving perfectly or not. His love and faithfulness has changed me. I am learning to remove all idols from my life. Hi! I have no doubt God led me to your site. Thank you for the encouraging words. Since coming to know Christ early in my adult life, I’ve had a passion for understanding God’s word and communicating that knowledge to others. 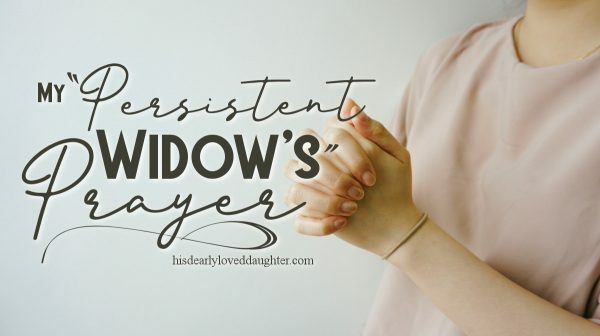 This passion has been my focus throughout fifty-two years of marriage, rearing of three children, the blessing of eight grandchildren and six years as a widow. I have also continuously struggled with discouragement, and the lack of faith in my ability to make a difference in the lives of those God placed in my path. The constant bombardment of the enemy has taken a severe toll on my life. My lack of confidence has hindered my ability to connect with others on a personal level and resulted in much isolation. However, I cannot still my desire to share my experiences with others thus the reason for my website ‘The Believer’s Blog’ at knowwhatandwhy.com. I hope you can find the time to check it out and give me some feedback. Since God protects me from Satan’s darts, I know His love is jealous and protective. What a great post Esther. Very carefully arranged and so complete! Thanks! Gods discipline has led me to this website, which proves His faithfulness to recall me as His own. The path I was on was like that of a wayward black sheep…rebellious, but hiding beneath my “Christianity”. I will not rebuke His discipline, because I once seeped and mourned over an idol He has removed from me, like He told the Israelites when they complained about wandering in the desert. Thanking God every day that I am a daughter of the King!!! !